Home>Blog>Seattle Office of City Auditor Pursues Racial Equity in its Audits through the use of its Race and Social Justice Toolkit. Seattle Office of City Auditor Pursues Racial Equity in its Audits through the use of its Race and Social Justice Toolkit. The Seattle Office of City Auditor (OCA) started using the City of Seattle’s Racial Equity Toolkit form in 2013 to encourage auditors to identify and address racial equity issues in our audits. Before OCA’s use of the form, our office would only count which projects had race and social justice impacts and would report that number, with a list of applicable projects, to the City of Seattle’s Office for Civil Rights. By applying the City’s toolkit to our audits, we could help ensure that we created scopes of work that might have direct impacts on the City’s priority issue areas and its most vulnerable populations. However, the City’s Racial Equity Toolkit form was primarily designed to help ensure that executive City departments were taking steps to eliminate racial inequity in the community. For OCA, the City tool was useful because it provided the criteria needed to assess whether departments were trying to achieve the City’s racial equity goals and to identify areas in our audits where our findings and recommendations might have an impact on racial equity. However, we found the City’s Racial Equity Toolkit awkward to use for audit purposes. As such, a group of OCA auditors revised the Racial Equity Toolkit to make it more suitable for our audits and called it the Race and Social Justice Initiative (RSJI) Toolkit. We had the Seattle Office for Civil Rights review our revised form, and they concluded that it met the objectives of the City’s toolkit. In late 2013, OCA made completion of the form one of the requirements listed in the office’s “Master Job Check List” that lists the required steps for each audit. The filing of the RSJI Toolkit form among our administrative work papers required the City Auditor’s approval. As such, for each audit, the auditor-in-charge was to consult with the City Auditor regarding the need to complete an RSJI Toolkit form. Unless the City Auditor provided an exception, all audit plans were to include the completion of the RSJI Toolkit form. In 2014, OCA required both audit and non-audit projects to include a race and social justice assessment. In 2015, two of five initiated projects included the RSJI Toolkit form; however, one project involving Juvenile Domestic Violence did not complete a form because the entire project involved obvious racial and social justice issues that led to the project’s initiation. Since 2015 the auditor-in- charge has completed RSJI Toolkit forms for most of our audit projects and some non-audit projects. Projects for which forms have not been completed have been for projects that have clear racial equity implications. Today, OCA’s RSJI Toolkit form is used to guide auditors in considering RSJI implications during the audit planning and field work stages of their work. In addition, after field work is completed, auditors are responsible for updating the form to document auditor recommendations in the report that address racial equity/race and social justice issues. While the form is a useful tool in beginning to identify potential audit issues related to RSJI, it is in the discussion between the auditor-in-charge and an OCA race and social justice (RSJI) team member that additional RSJI issues and audit steps can emerge that should be considered in creating the project’s work plan. Race and social justice team members are department employees that provide support and knowledge to the department’s racial and social justice efforts. While some audit offices identify racial equity issues in their audits by providing demographics of program clients, our RSJI Toolkit form and subsequent discussions require us to examine how those issues will be addressed in the audit. It is not enough to identify how a specific racial group is impacted. The auditor is challenged to address how the inequity should be eliminated or mitigated. OCA’s RSJI Toolkit form itself is divided into 4 sections and asks the auditor-in-charge to answer 11 questions. The first section is for general information – audit title, auditor-in-charge, the signature of the office’s RSJ team member that reviewed the form, and the City Auditor’s signature approving the form. Section 2 is intended to determine whether the form is required to be completed given the scope of the project’s scope. If the auditor responds yes to any one of the following three questions, the form should be completed: 1) whether the topic proposed for review involves certain racial/ethnic groups that are significantly or disproportionately affected , and if so, what groups, 2) whether the entity being reviewed conducts outreach to the community and if so, who is the targeted audience and why, and 3) whether what is being reviewed can improve the equity of and/or between racial/ethnic groups. Section 3 asks about the racial/ethnic issues and potential areas of impact that the City has identified as priority areas needing to be addressed to achieve greater racial equity. The areas include education, community development, health, environment, criminal justice, jobs, and housing and allows for “other” to be identified. This section also asks about the potential impact areas including contracting equity, workforce equity, access to service, inclusive outreach, public engagement, and other. In this section the auditor-in charge is supposed to describe the racial/ethnic issues for each impact area selected and to determine the audit step that could be incorporated into the work plan to address the issues identified. Finally, Section 4 asks whether the entity being reviewed takes RSJI into consideration in its public communication and outreach, contracting practices, service delivery, and evaluation of effectiveness. The form also asks if the entity being reviewed is collecting data on the race/ethnicity of the impacted participants, which is a Citywide requirement for departments providing services. It also asks whether the data could be racially/ethnically biased. In some cases, the department could be collecting data, but the way the data is collected could be biased, offensive, or asked in a manner that may prevent the participant from answering the question. The form requires the auditor-in-charge to list the report’s recommendations that addresses the racial equity issues identified in the form. In our Paid Sick and Safe Time audit the City Auditor recommended that the City contract for outreach services with community organizations that had access to difficult-to-reach populations and populations most vulnerable to violations of the law. In our 2017 City of Seattle Financial Conditions report, the auditor-in-charge reported on economic indicators with an RSJI lens. For example, in reporting Seattle’s unemployment rate, it reported an unemployment rate of 5.7 percent during 2011-2015, and also reported unemployment by race and ethnicity that showed an unemployment rate for Blacks/African Americas over twice that for whites. It also showed Seattle’s average income by race/ethnicity, which highlighted the pervasive nationwide income inequality. In our audit of the Seattle Municipal Court Resource Center (CRC), we recommended improvements to the demographic questions being asked of its clients and requested that CRC employees not make determinations on clients’ demographics and that clients be allowed to self-identify their gender and race/ethnicity. In our audit of Seattle Police Department Overtime, we analyzed overtime data to determine whether certain racial groups within the police department were receiving more overtime opportunities than others. The Association of Local Government Auditors Diversity, Equity and Inclusion Committee, which I am chairing, is in the process of evaluating the OCA RSJI Toolkit to determine if changes should be made before it recommends it as guideline for all audit offices to use. As far as I know, Seattle is the only audit office that uses a systematic method to identify, review, and document racial equity issues as part of its audit process. While other offices review audits through a racial equity lens, these efforts are not part of a formal process nor are they documented. Also, while certain audit offices identify racial equity issues in their audits, they are not required to address those issues with recommendations. In 2018, OCA specified the RSJI Toolkit as one of three risk assessments auditors must complete as part of their audit work, and the office continues to require that the auditor-in-charge of each audit and non-audit project complete a RSJI Toolkit form. 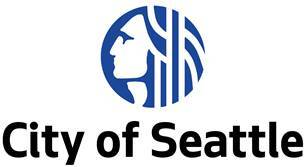 Virginia Garcia has served as an Assistant City Auditor with the Seattle Office of City Auditor for 12 years. She currently serves as the Association of Local Government Auditor Association’s (ALGA) first Chair of its Diversity, Equity, and Inclusion Committee, which was formed in 2018. Virginia has received national awards from ALGA for the following audits in which she served as Auditor-In-Charge: Seattle Indigent Public Defense Services Audit (2007), Seattle’s Paid Sick and Safe Time Ordinance Enforcement Audit (2015), and Audit of Seattle’s Incentive Zoning for Affordable Housing (2017).